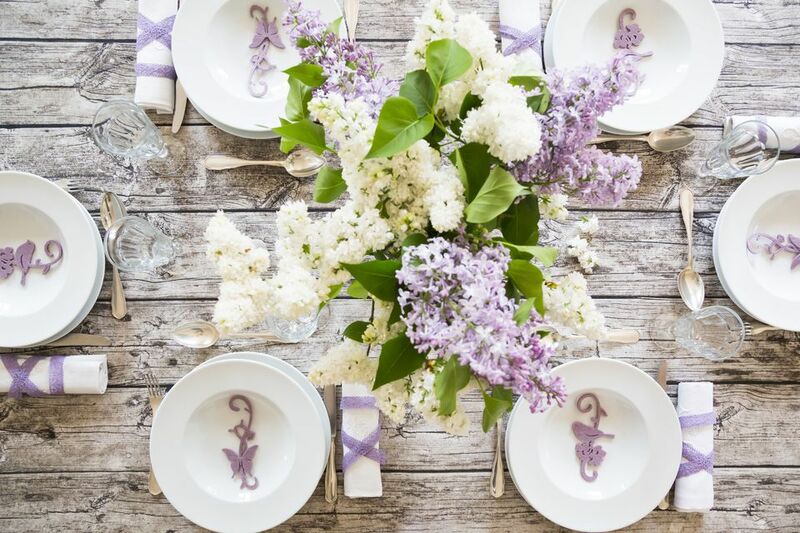 Easter is filled with tradition and the dinner table is no exception. From hot cross buns to the choice between lamb or ham, even gooey fudge brownies, there are many great dishes that your family will enjoy this Easter. Entrees, side dishes, desserts, and more, let's explore delicious recipes that will help you create a traditional Easter dinner menu. These menu ideas celebrate the best foods of spring, include traditional foods from around the world, and many are also ideal for Passover. 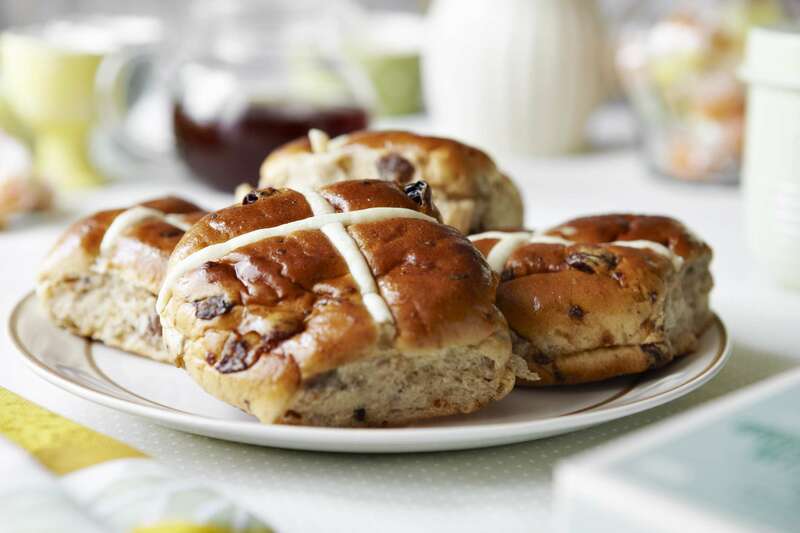 One of the signature foods of Easter are those delicious hot cross buns. Spiced with nutmeg, flavored with currants and apricots, then topped with a lemon icing, this sweet bread is at it's best when it's homemade. A favorite for many Easter dinner tables, stuffed leg of lamb is surprisingly easy to prepare. A flavorful recipe, with parsley, garlic, bacon, and red wine, this spring lamb roast can easily please any family. Will it be lamb or ham this Easter? If you're leaning toward the latter, make it a delicious honey butter ham. This recipe is simple, using Dijon mustard for extra flavor, and is cooked in the oven. Of course, you can also opt for a ​​slow cooker ham if you have the time. A traditional Irish lamb stew is another fabulous Easter entree to consider for dinner. The simple recipe is filled with vegetables, herbs, and spices to make a flavorful spring stew. It's a nice option if you want lamb, but aren't in the mood for a roast. Poultry is not out of the question for Easter or Passover and this Persian roast chicken recipe is perfect for the spring holidays. Flavored with saffron, cinnamon, and cumin contrasting the tang of lemons and clementines, it's a fascinating dish that may become a new favorite. Whether you choose to serve ham, beef, pork, or lamb, an old-fashioned raisin sauce is an ideal complement to your meat entree. It takes just 10 minutes to make and can easily be made to suit your family's taste with an adjustment or two. Homemade dinner rolls are better than any you can buy at the store. Bakers who want to try a new recipe will enjoy these Parker house rolls. They're light and airy and have a wonderful flavor that complements all the other dishes on your table. Another option for the bread on your Easter table is a traditional recipe from Eastern Europe. Paska, or Slovak Easter bread, is simple and delightful. You can either bake the dough into rounds or form chick-shaped dinner rolls. Scalloped potatoes are a favorite side dish and the potatoes grand mere recipe will work perfectly alongside any entree. Rich and satisfying, the potatoes in this dish are adorned with a creamy mustard, garlic, and Parmesan sauce that is sure to please. For another traditional potato bake, try a tasty kugel recipe. All you need are grated potatoes, onions, and eggs with a little seasoning. In about an hour, a simple golden brown side dish is ready for the table. Asparagus is one of the first vegetables of spring, which is why roasted asparagus is such a popular side for Easter dinner. Drizzling olive oil over the spears, sprinkling them with sea salt and a hint of lemon ramps up the flavor, creating a side your family will love. A favorite Passover recipe, it's hard to beat the fresh taste of a purple cabbage salad. This colorful side dish includes mandarin oranges, cranberries, carrots, and pine nuts and it looks spectacular. Bring the taste of a French bistro to your Easter table with a bistro salad with warm goat cheese. You can bake goat cheese croutes or cook them on the stovetop. They're then laid over a bed of fresh lettuce and herbs with a light oil, vinegar, and mustard dressing. This recipe works well for a light brunch as well. A simple and flavorful side dish, whip up this roasted sweet potato and beet recipe for Easter dinner. It too requires just a drizzle of olive oil and some light seasoning, allowing the taste of the vegetables to really shine. Need a really fast side of veggies for Easter brunch? In just 10 minutes you can pull off a tasty dish of braised carrots and sugar snap peas. Seasoned with parsley and a touch of garlic, it may just become a new staple around your house. A pasta dish that celebrates spring in its brightest flavors, this asparagus ricotta spring pasta is an ideal accompaniment to any entree. The flavor is fresh and clean and it all comes together in no time at all. For anyone who is planning an Easter or Pesach breakfast or brunch, Passover pancakes are a terrific choice. Made with matzo cake meal and tapioca starch, they are a chewy delight and perfect with maple syrup, jam, or fruit toppings. Add puff pastry dough, blueberries, and cream cheese to your grocery list and bake up some blueberry cream cheese danishes for Easter brunch. They're sweet and delicious and rather easy to make at home. One of the most popular desserts for Easter dinner is the classic chocolate fudge brownie. They're rich and creamy and this is a recipe that won't let you down. Rice Krispie treats are a favorite among kids and adults alike. The basic recipe can be transformed into an adorable, miniature Easter basket with a few Jelly Beans, chocolate eggs, and a little coconut. Use this recipe for dessert or to go along with brunch. Either way, it's hard to beat a classic egg custard bread pudding. You can even top it with your sauce of choice: vanilla or butterscotch or a tempting brown sugar pecan sauce. Bakers who want to go all out for the Easter holiday need to try a Simnel cake. Traditionally served to celebrate the end of Lent, this is the ultimate dessert for a feast. You can also decorate it as ornately as you like, creating a showpiece that may look too good to eat. Take advantage of the spring lemon crop with a traditional lemon meringue pie. The bright flavor of the creamy, airy filling has long been a favorite for a beautiful Easter dinner. Though it can look intimidating, it's rather simple and definitely worth your effort. We indulge in all sorts of treats for Easter and drinks are not an exception. For the adults, mix up a fun and sweet Easter bunny cocktail to share. This chocolate vodka cocktail is simple and you'll love the hint of cherry brandy.